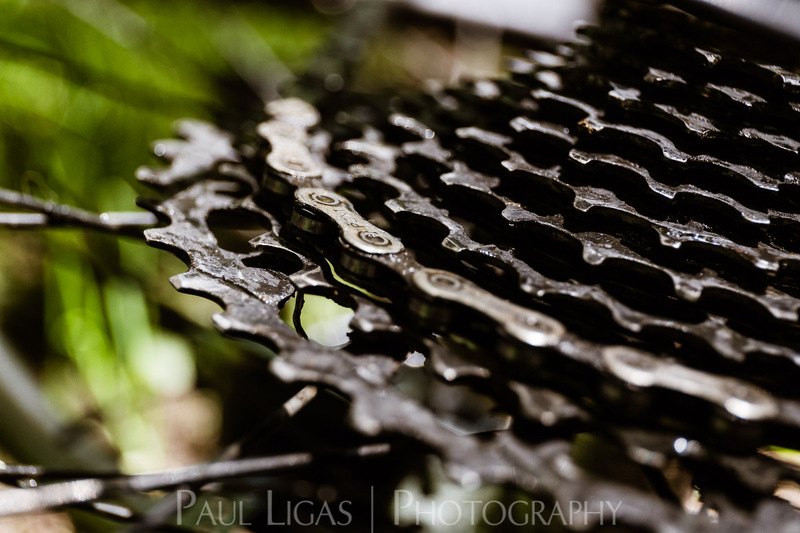 Earlier this summer a new cycling blog launched – TheBottomGear – its owner and author, John, asked me if I could take photographs that he can use on the blog and on social media. 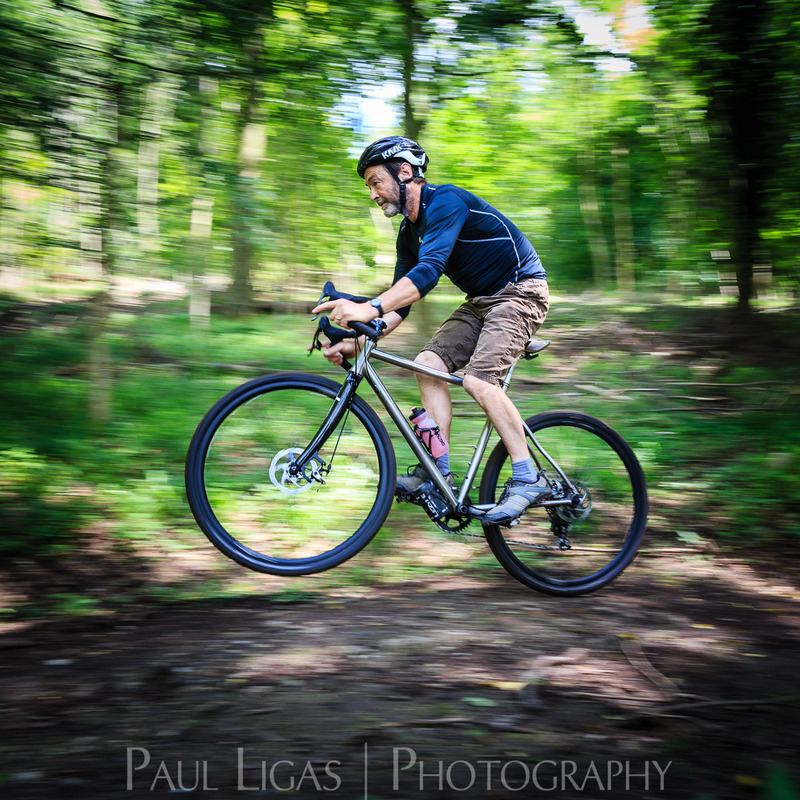 Understandably he has problems photographing himself on his bike from a distance – cycling photography can be awkward like that – and I was very happy to help. 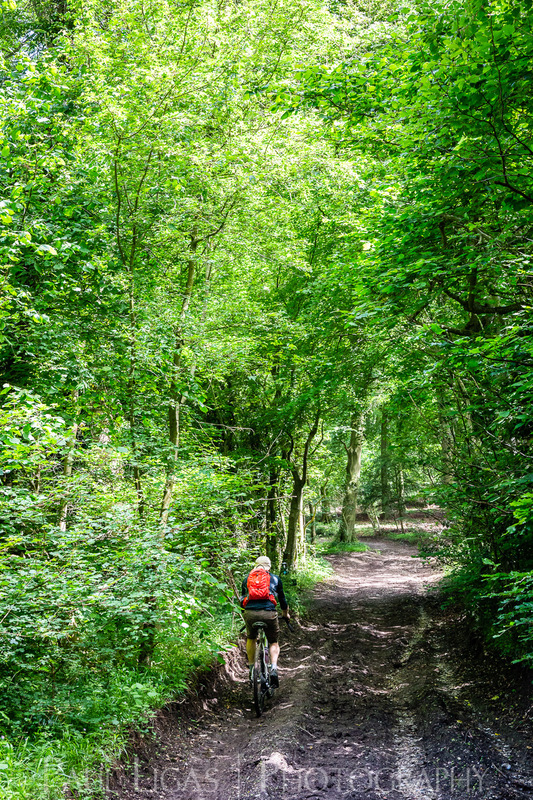 John chose to have the shoot in the Chiltern Hills near Chequers, as there’s a variety of paths, lanes, hills and fields that made for a diverse set of photographs. The blog is an exploration of cycling, ranging from observations, opinions, and experiences to product reviews, so I had a wide scope. 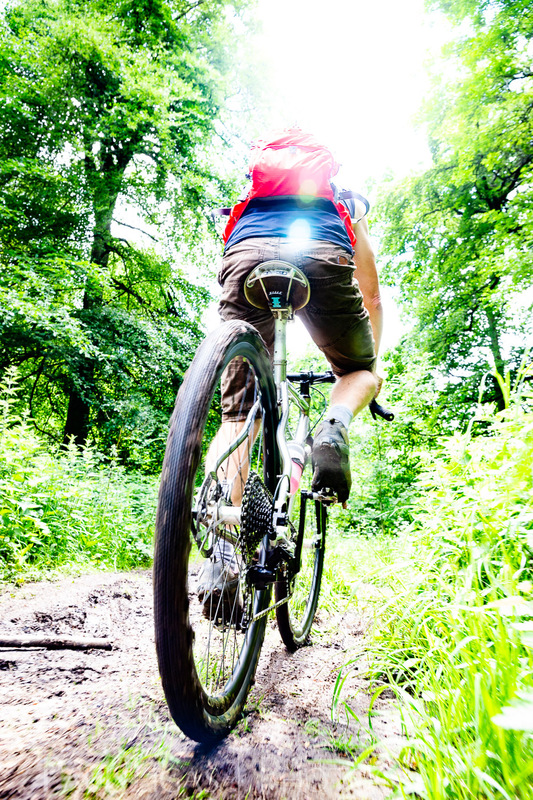 I had a list of images that I wanted to capture for John, including speed and movement, close ups of cycling products – backpacks, gears, etc – along with the peaceful enjoyment of the countryside that a cyclist can have. On a hot day, it was lovely and cool in the woods where we started going up hill. The dense greenery thinned near the top, where the sun started to come through bright and hot, which changed the feeling of the photographs that I was getting, so I went along with that new ambience both in taking the photographs and in editing them. Working our way along the edges of fields, through deep, muddy puddles made for good riding through water photographs. 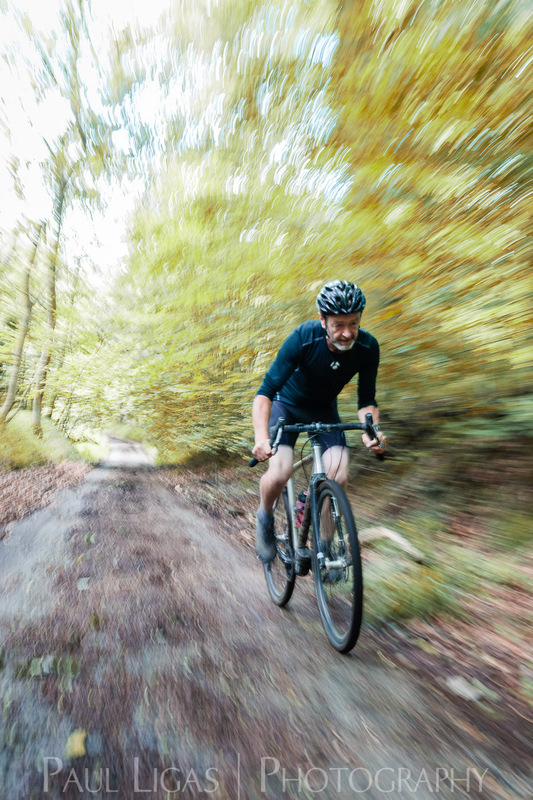 The way back down was along a narrow country lane that gave John the opportunity to build up some speed and led to some creative opportunities for me to capture that speed in a still image. Luckily for the both of us there was a farm shop where we parked that sold delicious locally produced chocolate ice cream. A well-deserved treat at the end of the shoot. If you’re a cyclist yourself, or are interested in taking it up, you should drop by his site and follow him on Twitter at @thebottomgear. To promote your blog or business, contact me for a free, no-strings consultation.